If you don’t think about your garbage disposal until it’s not working, you aren’t alone. Many homeowners find that they only have the time and energy to think about their garbage disposal when it’s broken. If this is you and you need garbage disposal repair in Greer, SC, call us at Corley today. We’ll come out, assess the situation, then implement a plan to get everything back to normal soon. Sometimes, it’s better, cheaper, and easier to replace your garbage disposal rather than to repair it. If we look at yours and we think this is an option for you rather than garbage disposal repair in Greer, SC, we’ll let you know. We’ll give you the pros and cons of both sides of the situation, then let you make the decision that is best for you and your family. 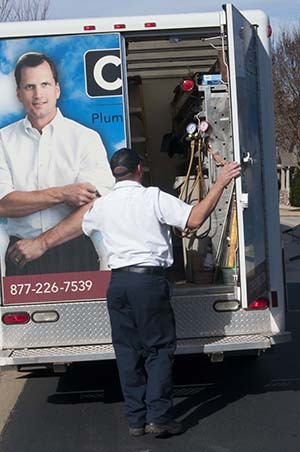 Whether you choose to go with repair or replacement, our Greer SC plumbers do everything we need to do to get your garbage disposal working again fast. We’ll make sure everything is back to normal again before we leave, so you won’t have any more problems. We’ll also talk to you about how your garbage disposal works, so you can avoid future issues with the same problem. At Corley, we know that our jobs go above and beyond simple garbage disposal repair in Greer, SC. We are in the business of making lives better, one service call at a time. Call us today for your appointment and we’ll help you get back to the life you love.